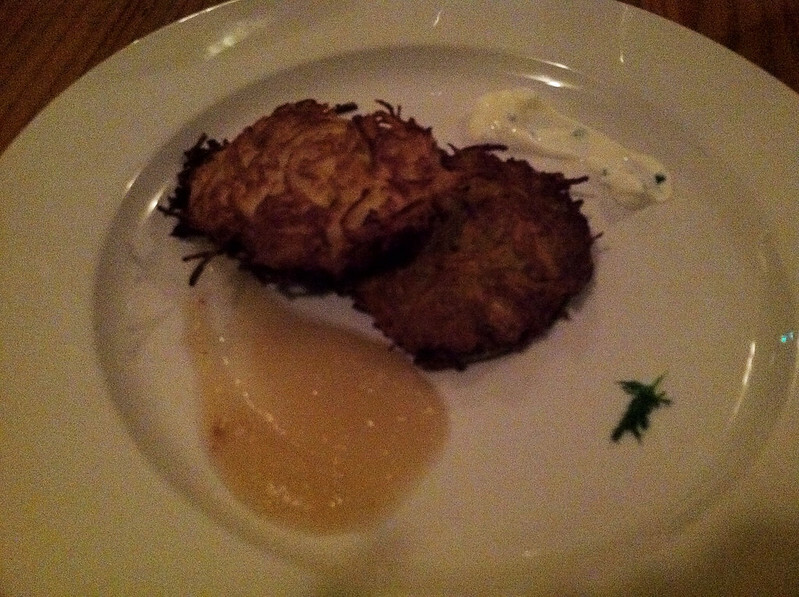 My hubby was excited by the latke tasting. One was made with celery root. The other was filled with sweet potato. 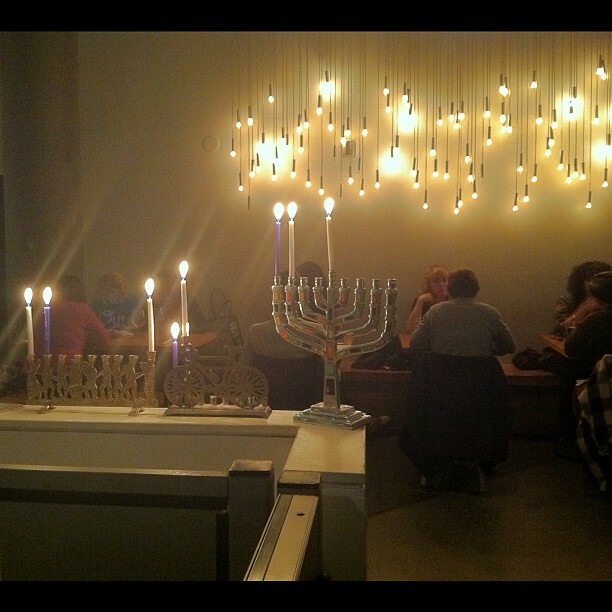 Mark said the latkes reminded him of potato dishes from his dad’s side of the family. He also remembered they added apple sauce and sour cream. 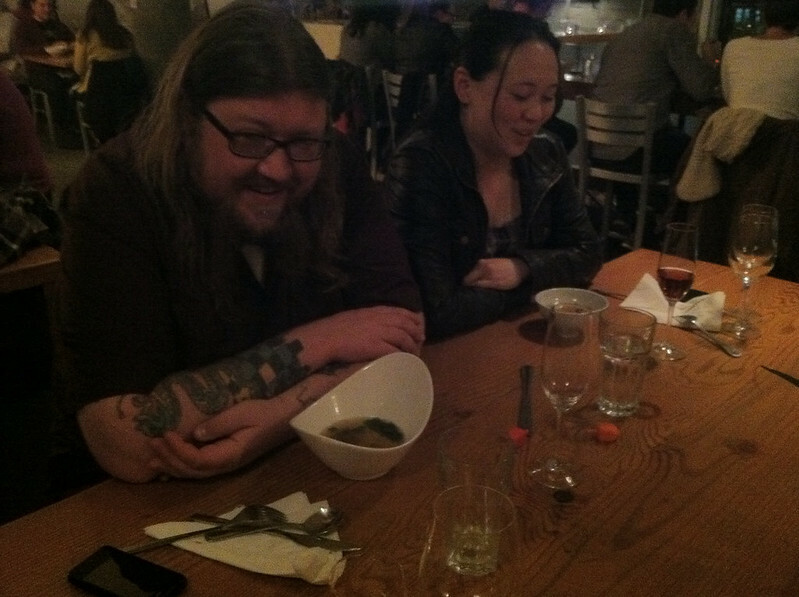 The kitchen staff went eclectic with soup bowls. 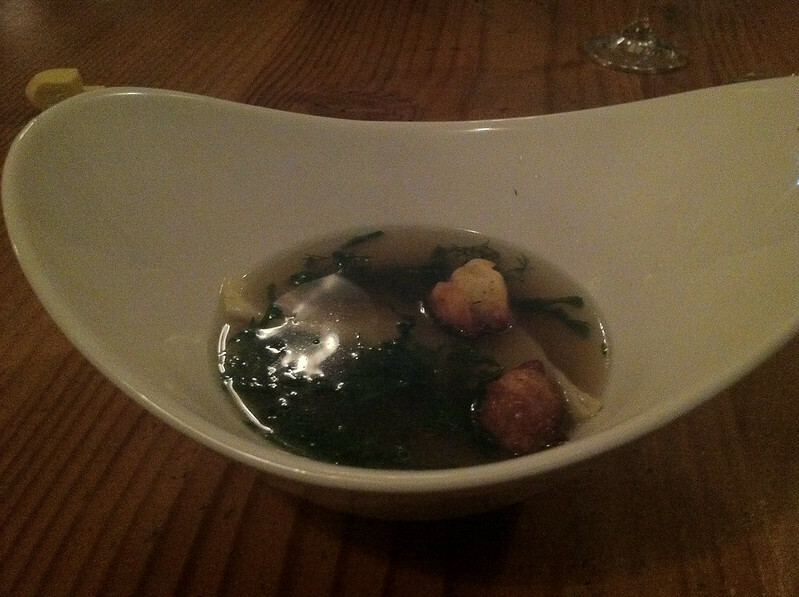 The soup nuts were dense and yummy in this chicken consommé. I also liked how the liver leaked out of its kreplach dumpling and into the soup. 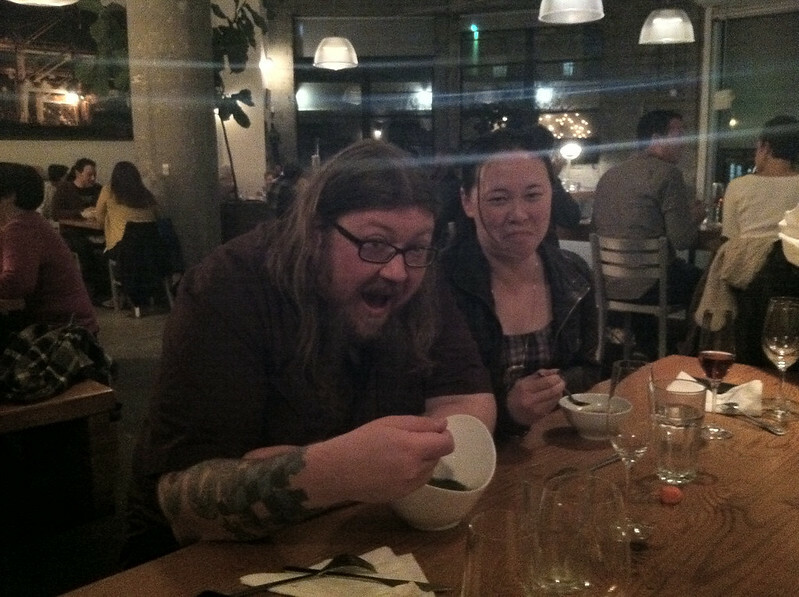 We kept telling Susan that everybody had the same amount of soup, regardless of the bowl size. 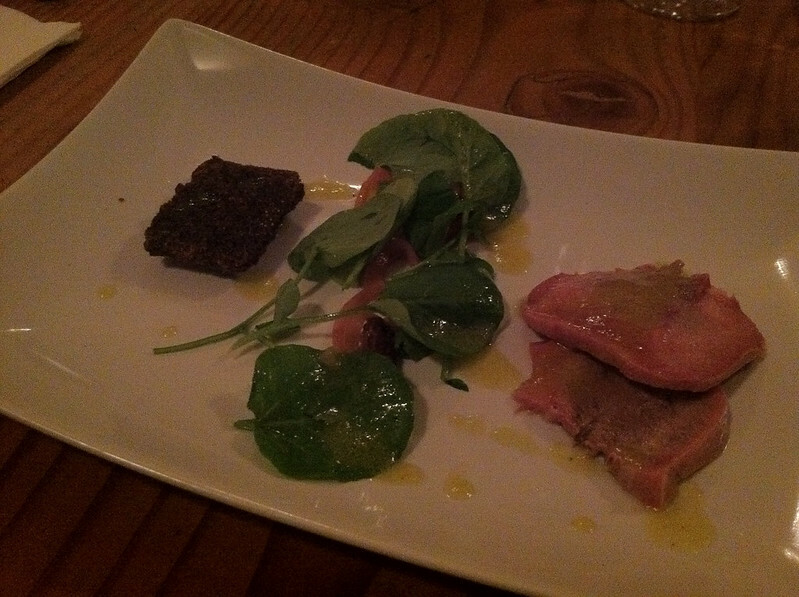 The wine pairings rocked for last night’s dinner. 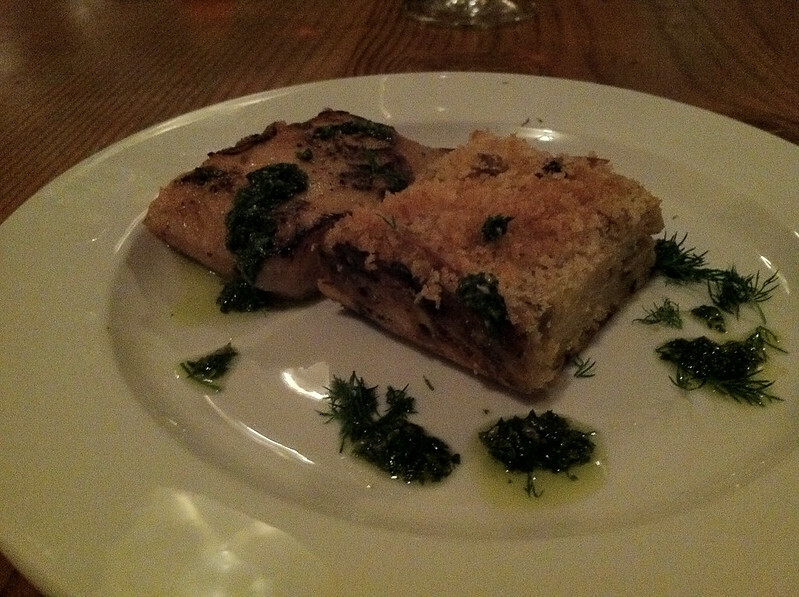 I really liked the Proyecto Cuatro paired with salmon and a mushroom kugel. The wine tasted rich and dense in my mouth. When we found out it was from Catalunya, our table smiled. We remembered our adventures in Barcelona. The sweet finish: Hanukkah donuts. 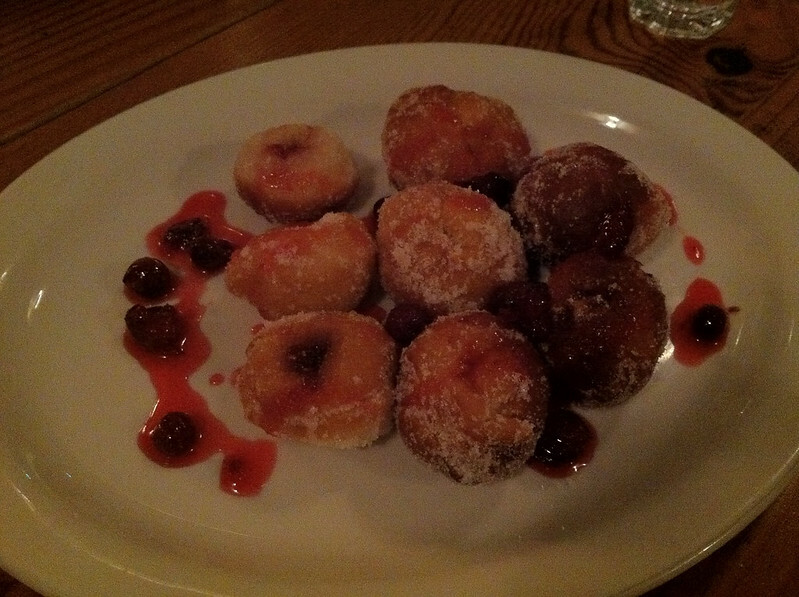 I enjoyed the doughy dessert dipped in berry sauces.